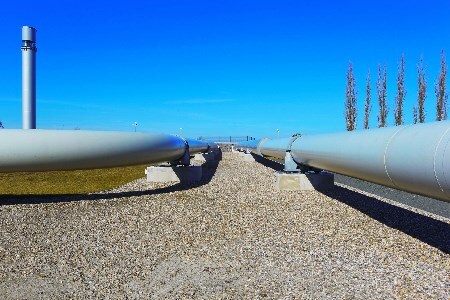 At 12:59 p.m. Moscow time on 30 November, the Nord Stream gas pipeline transmitted its 200 billionth m3 of gas from Russia to Germany via the Greifswald delivery point. “The Nord Stream gas pipeline is a high profile pan-European infrastructure project, a stellar example of mutually beneficial and productive co-operation between Gazprom and its European partners. Today's development is a clear rebuttal to the skeptics. For six years, Nord Stream has consistently exported Russian gas to the European market via the most cost-efficient transit-free route, i.e. across the Baltic Sea. The gas pipeline is operating at full capacity, providing reliable energy supplies to thousands of companies and households in Europe. Drawing on the success of Nord Stream, Gazprom is implementing a similar project, Nord Stream 2, with the active support of Europe's leading energy companies. In accordance with the plan, the new gas pipeline will be built by the end of 2019. Gazprom is convinced, as are our partners, that the project will further strengthen the reliability of gas supplies for European consumers and foster the development of the region's energy market,” said Alexey Miller.